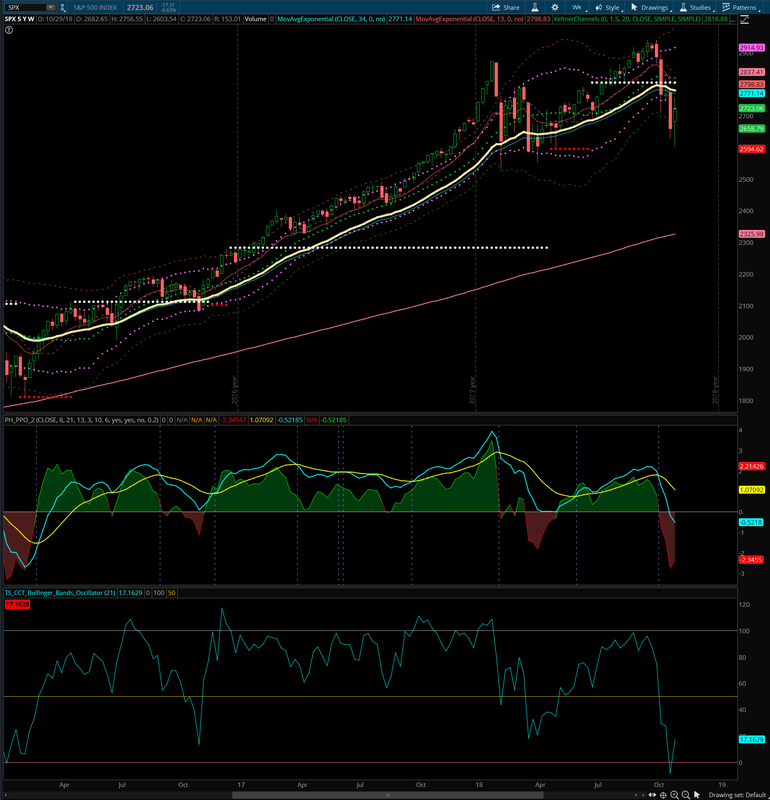 The S&P 500 weekly is showing a close below the lower Keltner line. 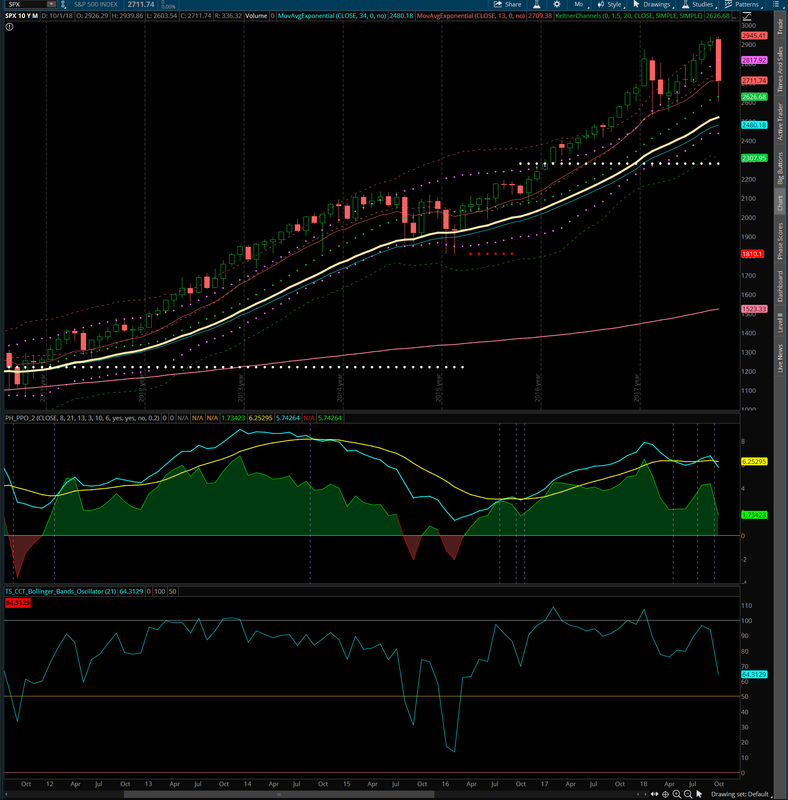 The S&P 500 weekly review closed in the lower Keltner channel. 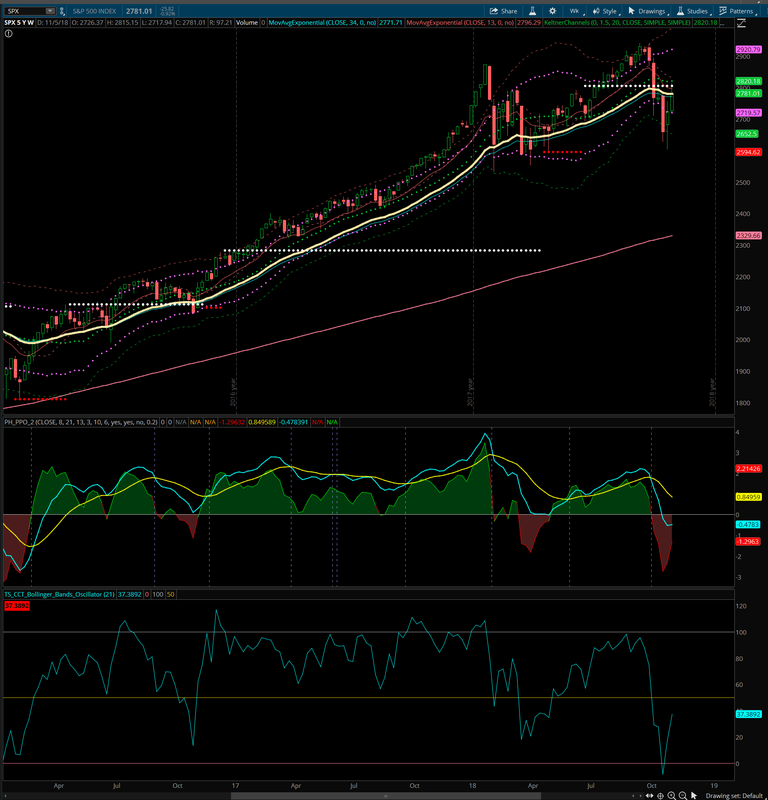 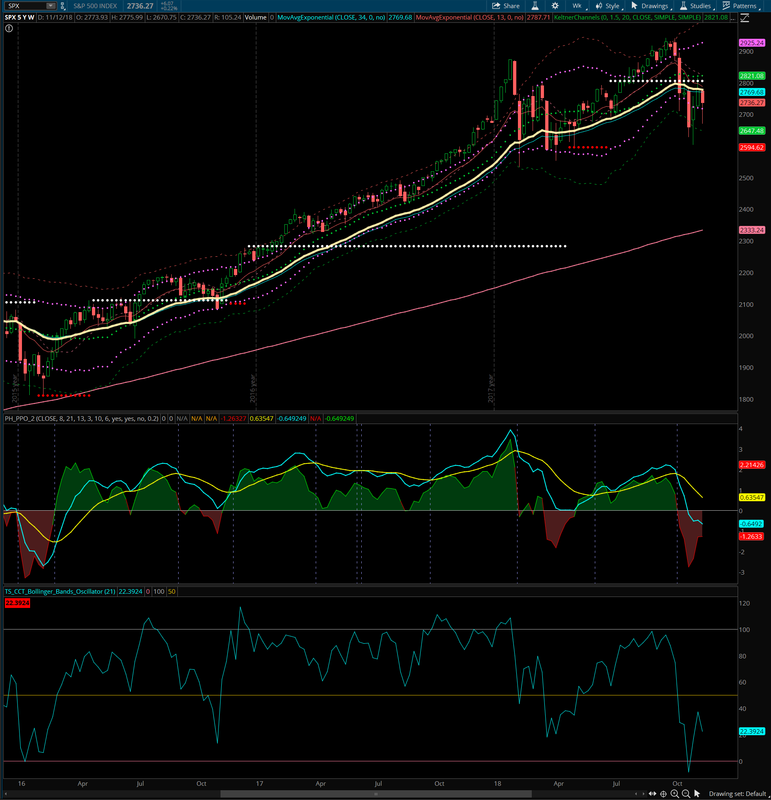 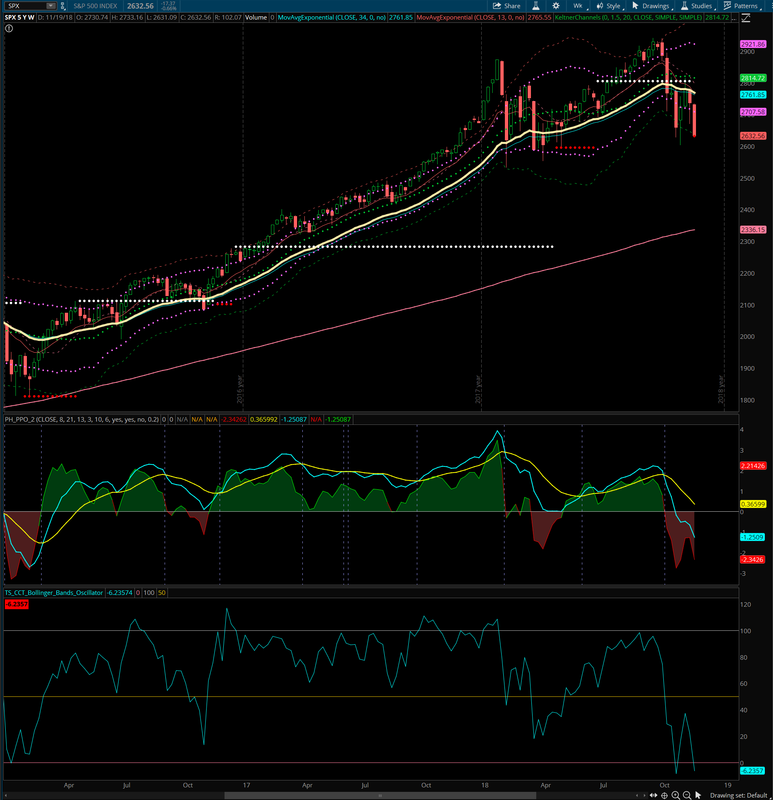 The S&P 500 Weekly is showing another close under the lower Keltner channel.